For many kids, having to sit still and be quiet through an entire school day can seem like an impossible task. While most schools have physical education and recess built into the day, for some students, it’s simply not enough. Luckily, a lot of teachers and classrooms are becoming more aware of this need and are making changes to help those kids. Some teachers allow kids to keep fidgets at their desk or during circle time, while others have replaced regular chairs with alternative classroom seating. Sensory hallways are also a a perfect solution for kids who fidget, are frustrated, or just need an outlet to release energy. The hallways can be part of a sensory diet, which are a group of carefully designed activities to give children the sensory input they need. The activities can be beneficial for children diagnosed with Autism, ADHD, and sensory processing issues, but all students can benefit from opportunities for movement through their day. The hallways are designed to give students a “brain break” while providing sensory input that their bodies need to help stay alert, on task, and focused. The sensory path hallways address the fidgeting and frustrations in a positive way. The path is a series of markings incorporating movement, such as hopping, jumping, and skipping, directing students when to breath in and out and other simple motor functions, like pushing against the wall. 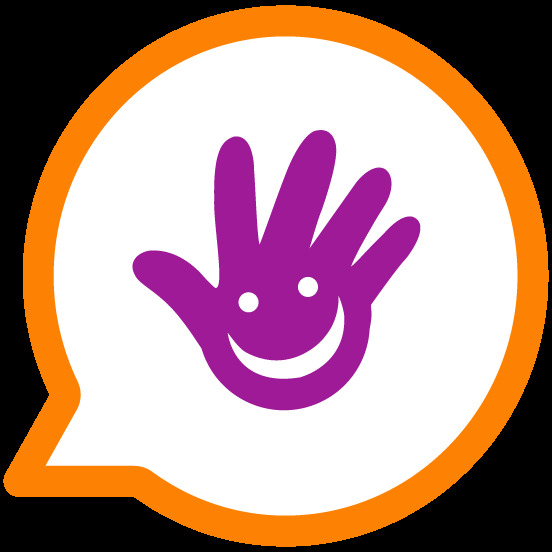 Sensory hallways are designed as a preventative measure, geared towards improving focus and preventing disruptive behaviors from occurring within the classroom environment. 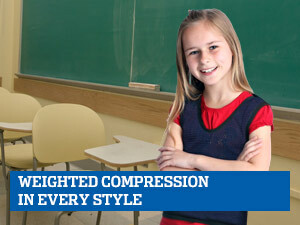 They provide a student with the opportunity to be able to return to the classroom focused and ready to learn. 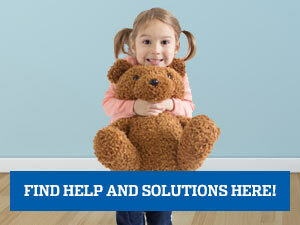 There are many solutions for creating your own sensory path hallway! Jumping and counting just go together. You can skip rope and count, or just jump and count. Position a few Spot Markers or Squeaky Spots and jump from spot to spot as you count or follow a color pattern. 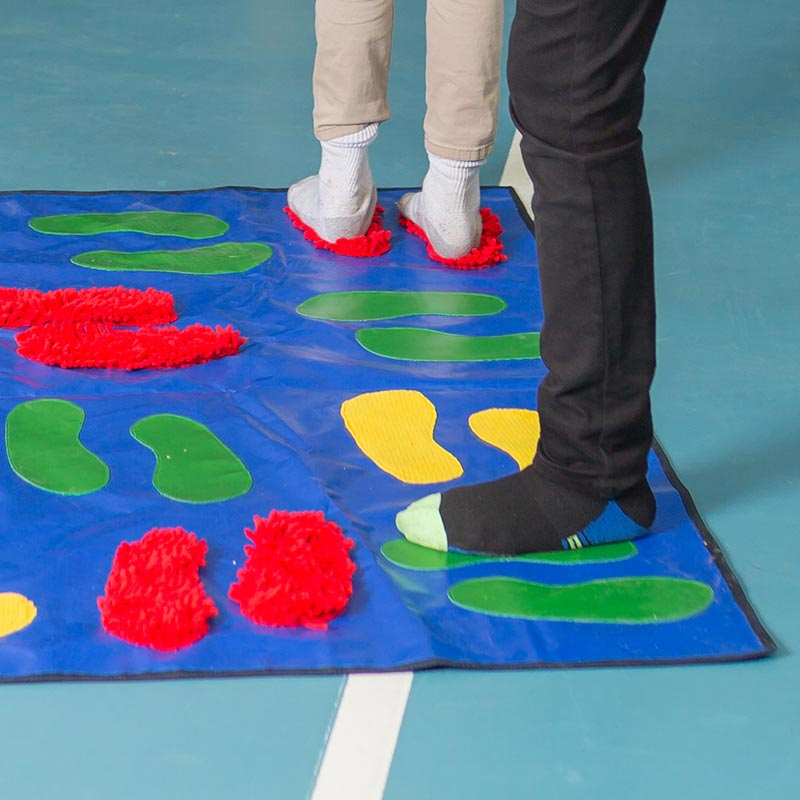 Incorporate hop scotch or bear crawling using the Jumper mat or Gel floor tile to work on balancing and bilateral coordination activities. Walk across a Balance beam encouraging students to not let their feet hit the floor. Position Balance blocks on the floor to encourage hopping on one foot. Create an obstacle course that has to be navigated with a Scooter to encourage gross motor skills and deep pressure input. Position the Emotions cushions on the floor like stepping stones. 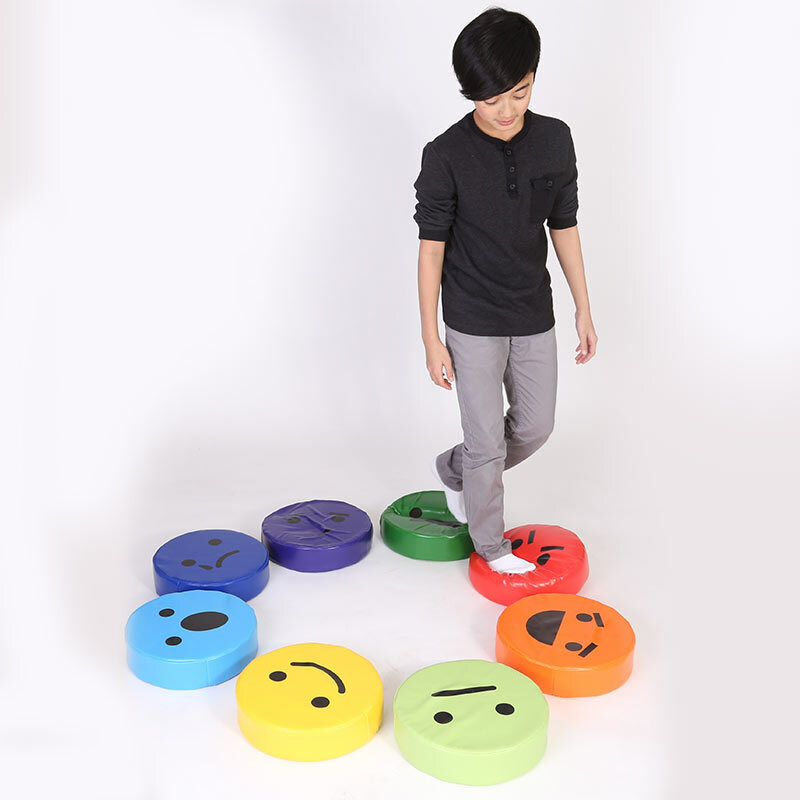 Put them in a circle or in a snake like figure to work on balance, jumping, color recognition and emotion recognition. Line up our Sensasoft texture track to create a walking path, hopscotch pattern, or a mixture of motor patterns to promote motor planning and stretching. Place Sensory Mini mats on the wall for wall push up patterns, or on the floor for a textured experience as sensory steps. 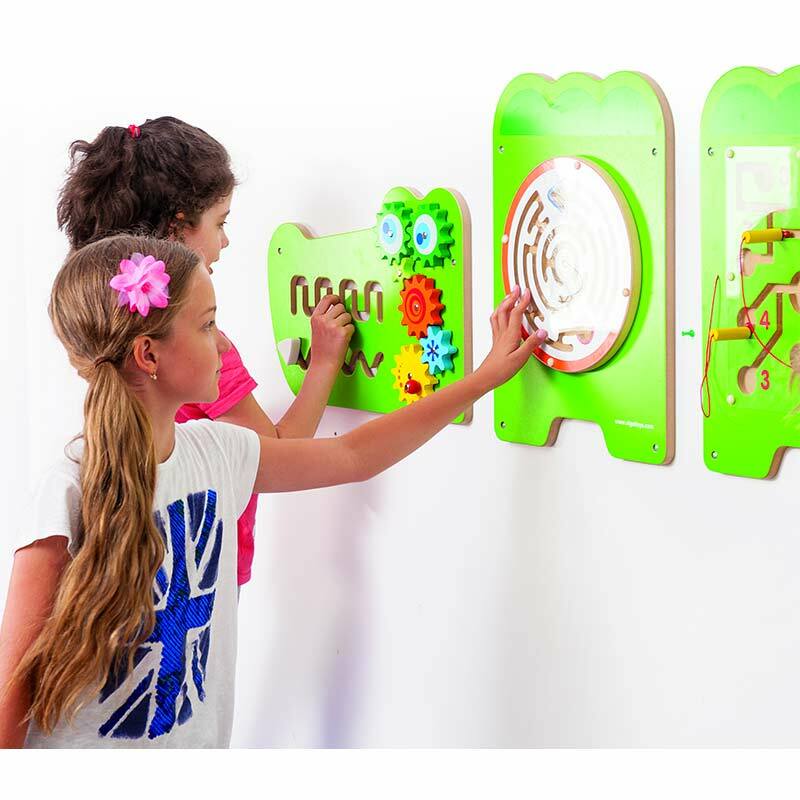 Keep hands busy while walking down the hall with one of our Interaction boards. The possibilities are endless. 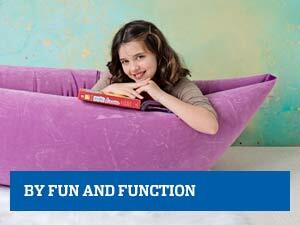 Introducing sensory hallways can help positively transform the school experience for kids. 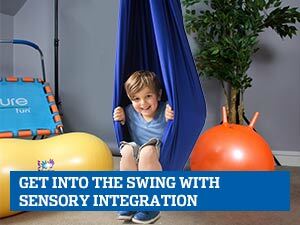 Providing the opportunities for movement and incorporating sensory input can help a child become calm and more focused which will impact participation. 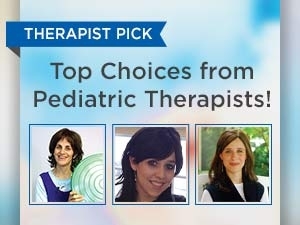 A child might have once gotten into trouble for their fidgeting, there’s now an appropriate way to get all that energy out without disrupting others. How fun would it be for all students to access these hallways everyday to promote more focused learning?